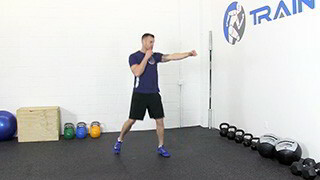 The step and jab is a beginner level boxing conditioning exercise. This exercise is suitable for all fitness levels. The left right combo is a beginner level boxing conditioning exercise. The uppercut combo is a boxing conditioning exercise. The running mountain climber is a lower body conditioning exercise that is suitable for all fitness levels. Skipping is an excellent low impact conditioning exercise suitable for all fitness levels. High knee skipping is a lower body conditioning exercise that targets the calves and hamstrings. 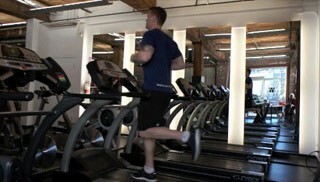 Jogging on the treadmill is a beginner level cardio exercise. This is a great exercise to use as a warm-up or for intervals during or after a workout. The Bosu cross over is an intermediate lower body exercise that targets the quads, glutes and calves.